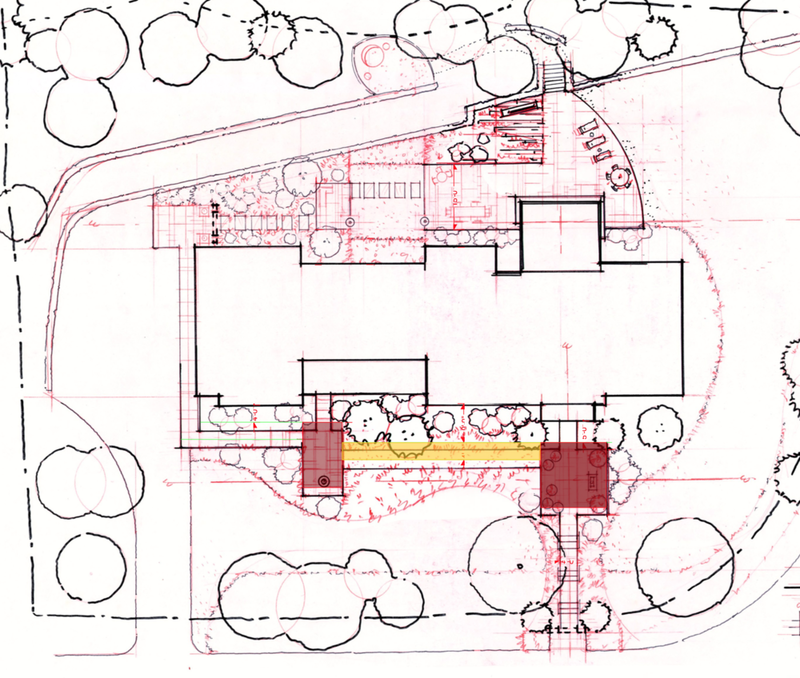 The Builder designed a lengthy paver walkway from the driveway to the mudroom and then on to the front door. 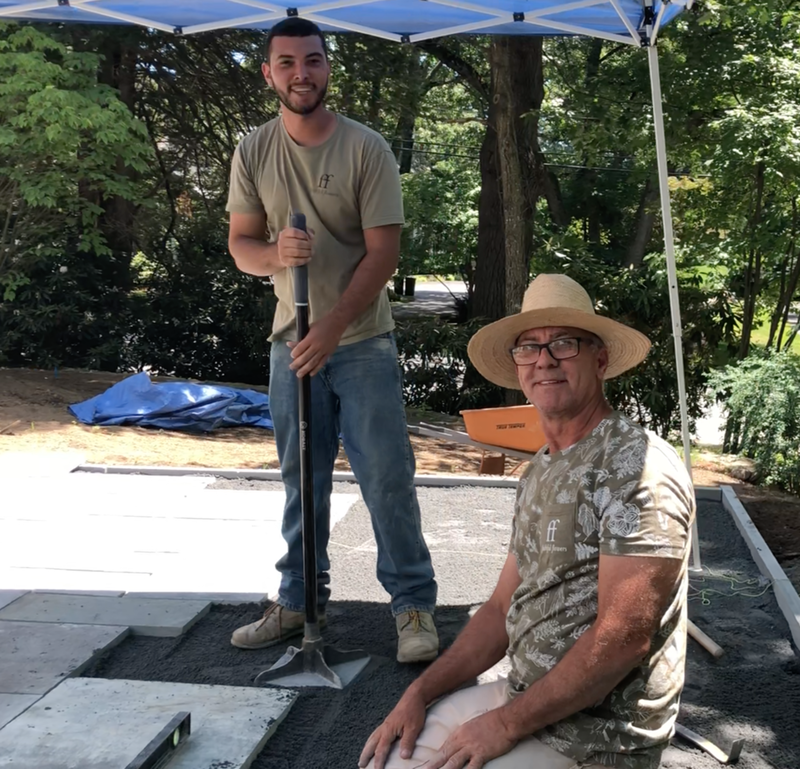 Landscape Architect, Steve Woods and Designer, Faith Michaels set about to draw a plan that would honor and add to the grace and beauty of the home and deliver the English garden that the homeowner had dreamed of. 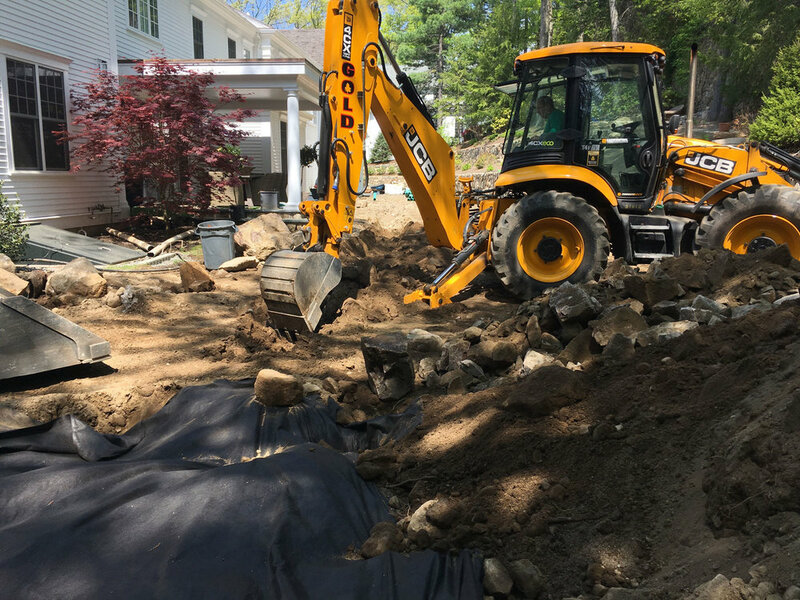 First off, we dug out the heavily compacted front yard and added proper drainage from the downspouts to new drywells. 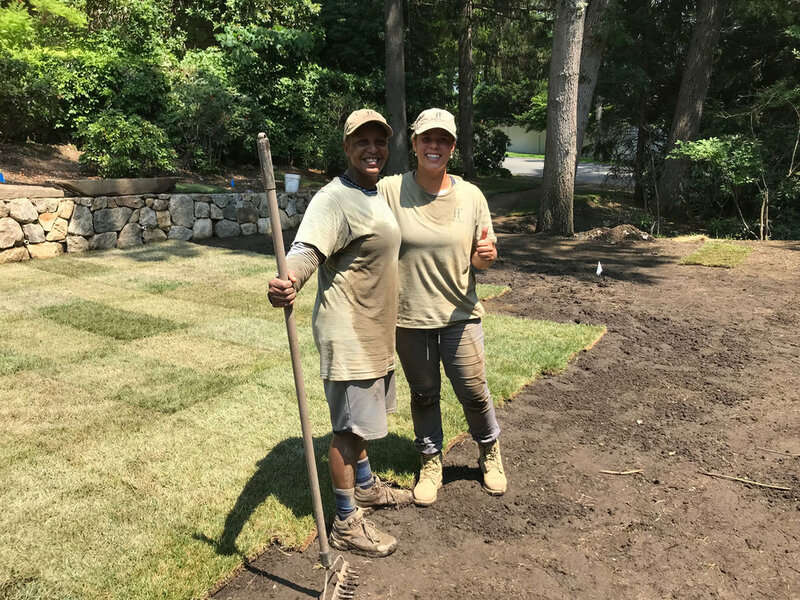 We added in multiple yards of composted loam to prep the yard for new lawn and planting beds. 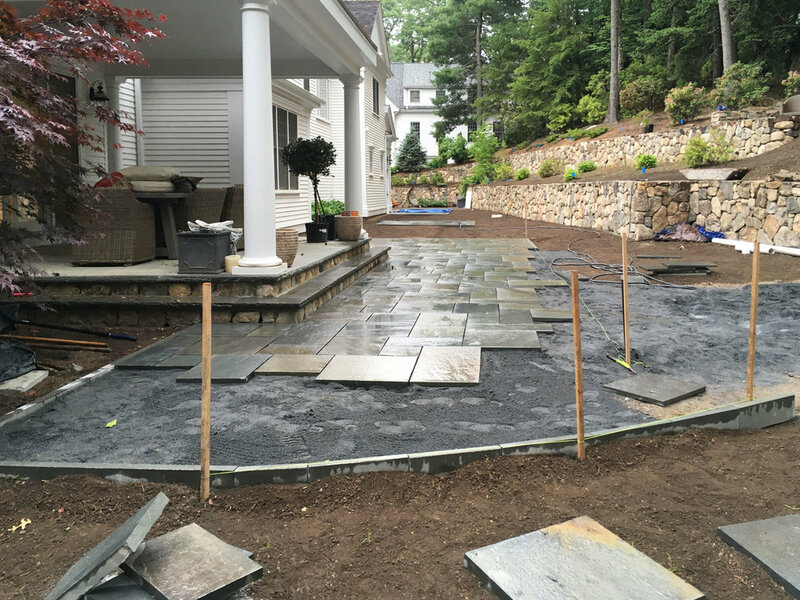 Next, we began building an oversized, asymetrical, bluestone landing and with granite steps leading from the street. We lined the walkway with Peonies, catmint, lirope and autumn clematis. A fall underplanting of allium will yield a colorful show come spring. Next year’s plans includes a rose garden by the front door. With the front complete, we moved to the backyard and on to the plans for a dreamy English Garden. The backyard had a lot of challenges. 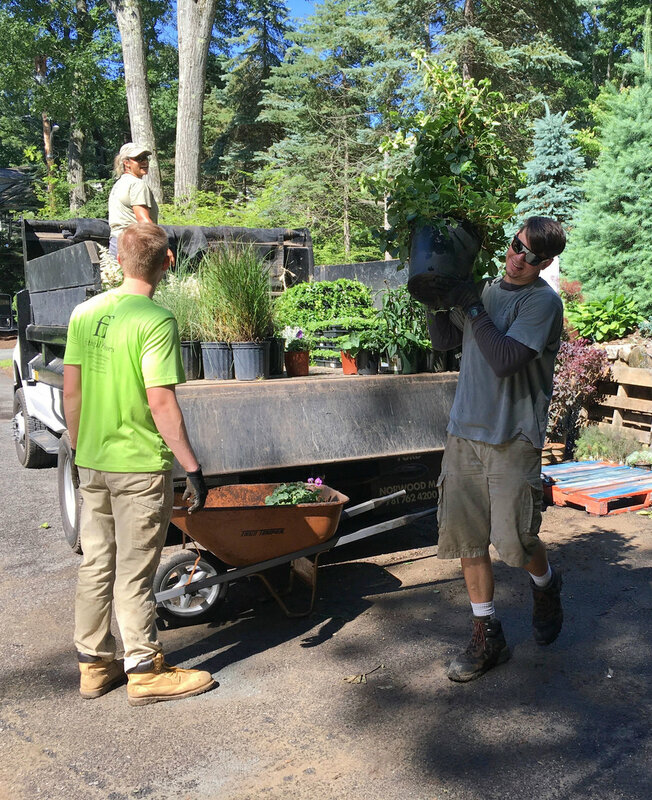 The compacted lawn and beds made it impossible to add any hardscape and plantings. When it rained, it became a pond. 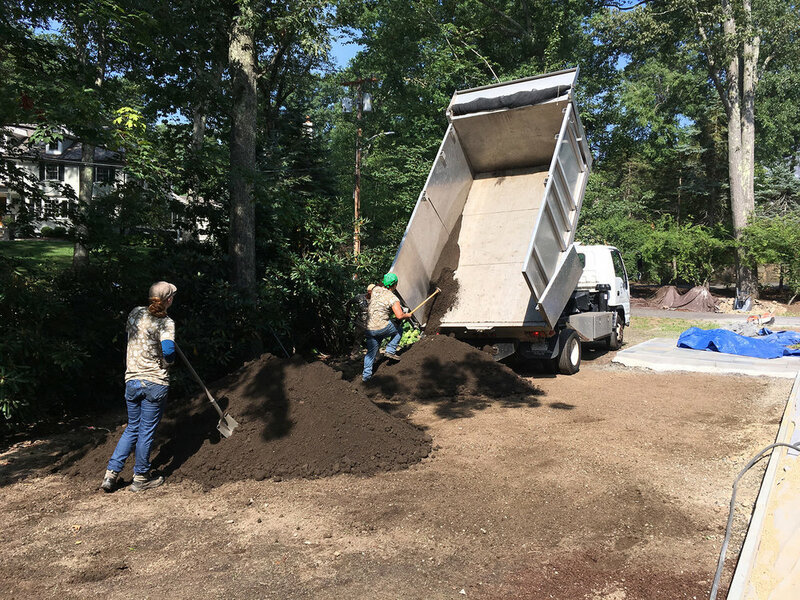 We had to remove yards of packed material, install a drainage system and bring in new composted loam. 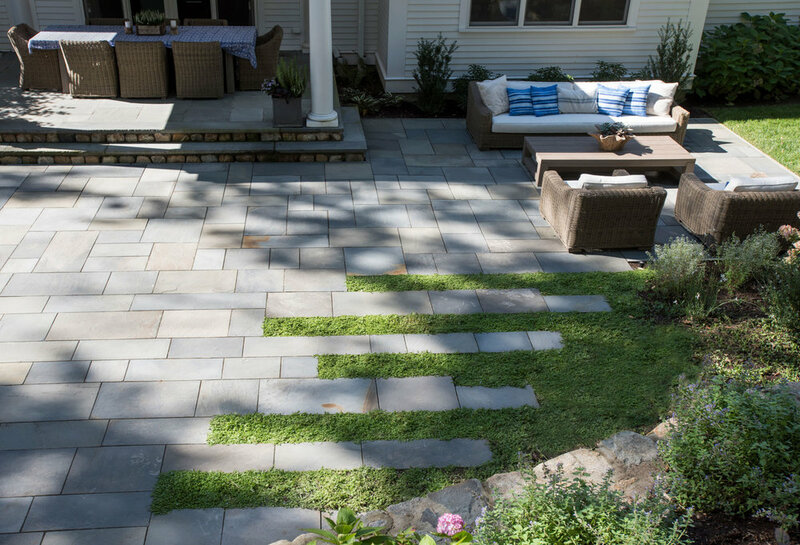 To make a very linear space look bigger than it actually was, we built two entry landings and stepping stones leading to an oversized terrace. 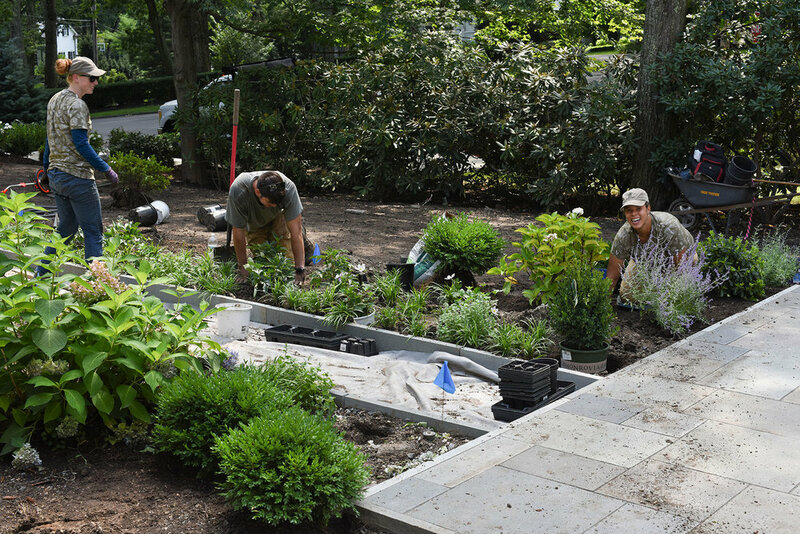 Steve’s design leads you through the garden into what feels like a very large landscape. 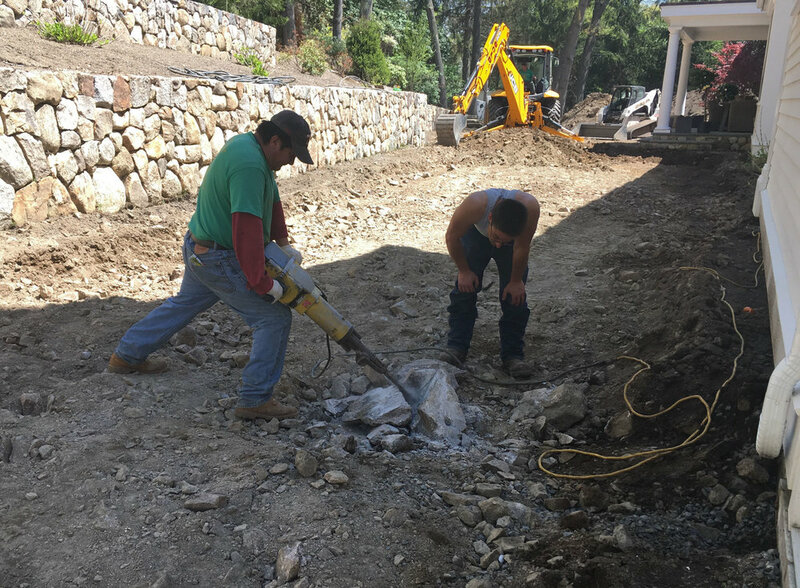 Masons Luiz and Lucas Netto sourced the perfect stones for a stairway to the upper rest area. An antique trough flows with the soft sounds of water. Year one of this project already yields color, texture, and of course, the butterflies. Powered by Luiz, Lucas, Brandy, Lorena, Eric, Gio, James, Nick, Michelle and Paul.